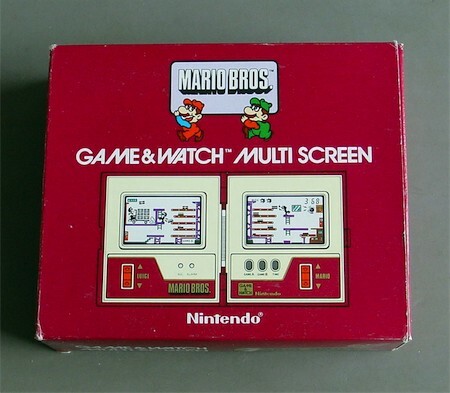 Nintendo made 2 kinds of Multiscreen Game & Watches. 3 of them have the screens next to each other, while the other games unfold in the top and the bottom. 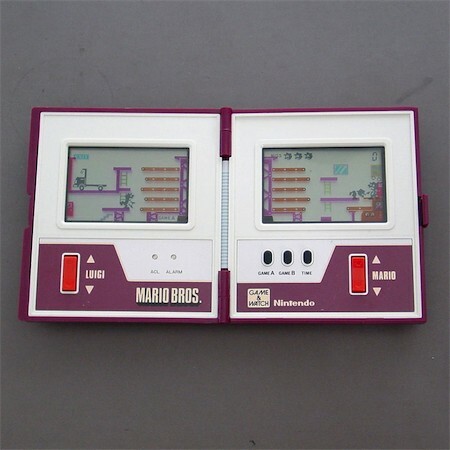 This MARIO BROS is a true classic. Gameplay is on both screens simultaneously and can get pretty hectic! Later famous plumbers LUIGI and MARIO run up and down along the delivery belt, in order to transport packages and load up the trucks. Fun to see that the chef gets pretty angry when you're not fast enough and items are dropped.